Britain will work with the financial industry to crack down on fraud, corruption and dirty money by launching a task force that will include senior banking figures, the finance ministry said today. The chief executives of Santander, Lloyds and Barclays banks will be among members of the Economic Crime Strategic Board. The board will consider where further resources are needed to tackle offences such as bribery and money laundering. "We need to take action on all fronts to target the corrupt fraudsters who are lining their pockets with dirty money and living luxury lifestyles at the expense of law-abiding citizens," the UK's interior minister Sajid Javid said. Mr Javid will jointly chair the task force with finance minister Philip Hammond. The first target of these powers was made public last year when they were used against the wife of a jailed Azeri banker who spent more than £16m at London's luxury department store Harrods. The National Crime Agency received a record number of suspicious activity reports (SARs) in 2017-2018, registering a 10% increase on the previous year. 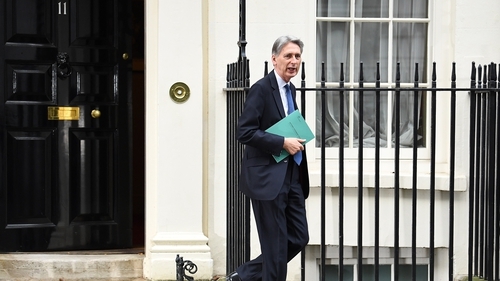 "The UK is leading the world in the fight against illicit finance," Hammond said. "We know more can be done."